We all know how hard it can be to take a pic of our pups. They never want to look at the camera or the phone, it’s as if they think it will steal their souls! Flashes look horrible. Natural lighting can be so dark that you can’t tell where your dog ends and the sofa begins. It’s so hard to capture their unimaginable adorableness with a simple camera or phone! We asked pet photographer Mark Rogers for his best tricks for taking high-quality dog pictures–without getting into stuff like f-stops and shutter speed. Time it well: If you’re looking for action shots, have your photo shoot before the daily three-mile run. If you want a serene portrait, make it after. 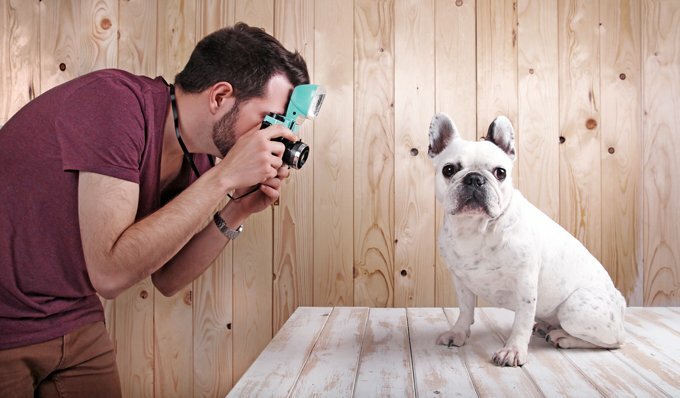 Let your dog get used to the camera: The click and flash of a camera can rattle dogs at first, says Rogers. Let your dog give the camera a good sniff, then start casually shooting the surroundings (if you’ve got a film camera, you can do this before you load the film). 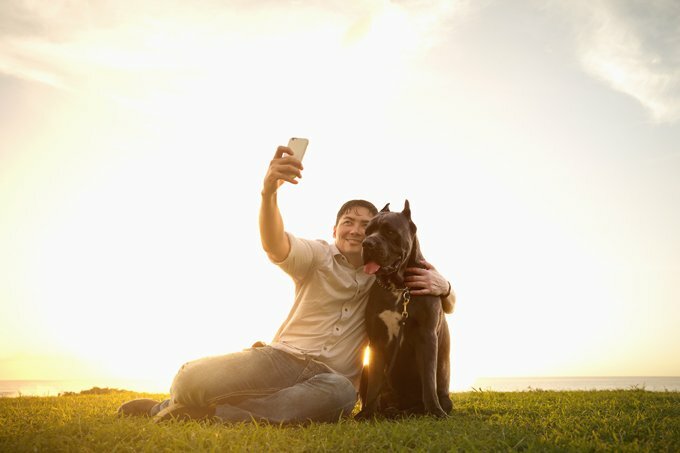 Once your dog’s gotten used to the camera and starts doing his own thing, begin taking pictures. The idea is to keep things natural and relaxed. What not to do: Grab a ton of treats, abruptly shove the camera in your dog’s face, and repeat, “Mommy’s gonna take your picture!” at high pitch. Take lots of pictures: This is the first rule of photography, no matter what the subject. The more you take, the better your chances of getting a few amazing shots. “Always bring an extra battery,” warns Rogers. 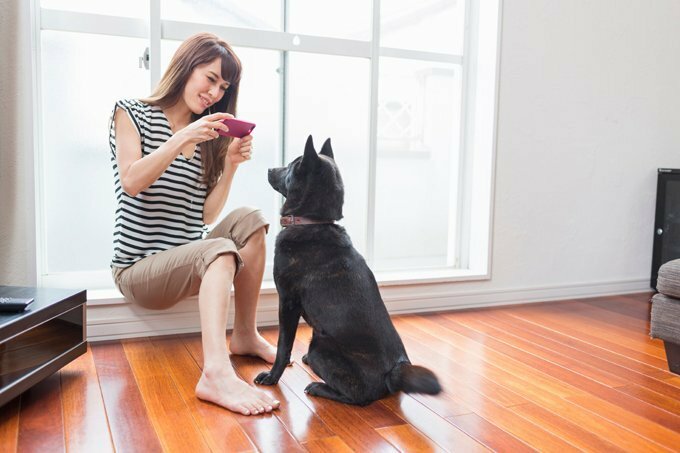 Turn off the flash: Most amateur photographers do best with warm, natural sunlight. To avoid washed-out pictures, shoot in the mornings or evenings, on slightly overcast days, or in the shade on a bright day. For indoor shots, you’ll probably need a flash. You’ll get a more natural-looking shot if you use an off-camera flash and swivel it upward so the light’s bouncing off the ceiling. If it’s day time, open the curtains and let the light flood the room. 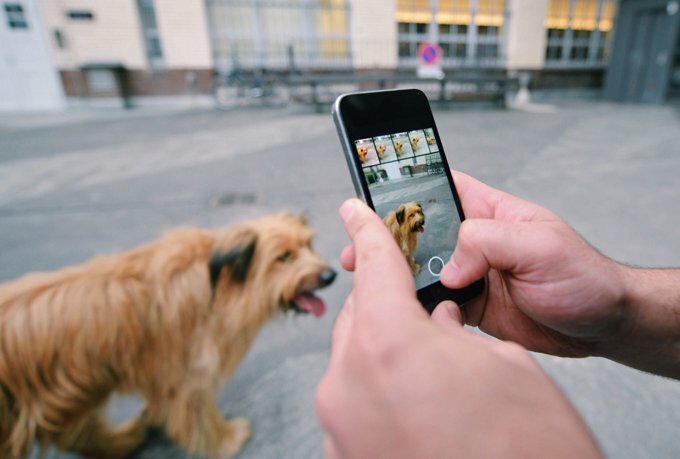 Get down on your dog’s level: “If you stand over your dog and look down, every shot you take is going to look like everyone else’s,” says Rogers. Pay attention to background: Simple backgrounds, like a white sandy beach or green trees, make your dog stand out. If you’ve got a point-and-shoot camera, have your dog at least a dozen feet in front of the background so he’ll be more in focus than whatever’s behind him, and of course, watch for the tree branches growing out of his head. Pay attention to color, too: No black backgrounds for black dogs, brown backgrounds for brown dogs, and so on. Enlist help. A friend with a squeaky toy will come in handy if you want a head-on shot or a regal profile. However, keep your dog’s personality in mind with this tip. “Some dogs get amped up really fast when their toys are around, so it can have the opposite effect of what you intended,” says Rogers. This article is printed and shared with the permission of DogTimeMedia and is one of the many articles found in their “The DogTimes News” newsletter. Contact “mailto:info@dogtime.com”>DogTimeMedia and sign-up for their newsletter. © 2018 All rights reserved.